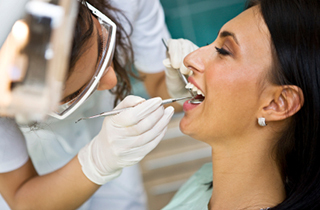 An oral exam can reveal a lot about your dental and overall health. During a dental visit, your dentist typically removes tartar from your teeth to avoid plaque buildup and inspects your teeth for any looming problems, like cavities and gum disease. A regular dental checkup can also show the early signs of diseases like cancer, diabetes, and anemia, allowing you to seek early intervention and possibly save your life. An estimated 40 percent of pregnant women develop gingivitis during their term. This is believed to be caused by the increased progesterone that facilitates the growth of gingivitis-causing bacteria. The affected women develop a deep red lump (benign tumor) on their gums referred to as a pregnancy tumor or pyogenic granuloma. It disappears automatically after delivery. Alcohol dehydrates your body and causes dry mouth, which in turn increases your risk for cavities. Too much alcohol consumption reduces saliva secretion, which is needed to wash away food debris from your teeth and neutralize harmful acids in the mouth. This leads to cavities, “chipmunk” red cheeks, and a foul smelling mouth. You need a balanced diet that is rich in certain vitamins and minerals that help to fight common oral problems, including bleeding gums, delayed healing, tissue sloughing off, burning tongue syndrome, and increased infections. Anemic patients (due to iron deficiency) tend to experience severe sores in the corners of their mouth, changes in the appearance of their tongues, a painful burning sensation, or a glossy and smooth tongue (caused by papillae falling off). The problem can be corrected by increasing iron intake. Bulimia causes a unique pattern of tooth wear that happens exclusively on the tongue-side of the front teeth, increasing the risk of cavities. This acid erosion, however, is not always indicative of an eating disorder. It could also be caused by acid reflux and the use of mood-elevating drugs or antidepressants, both of which limit saliva secretion and increase the risk of acid damage. Signs of nail biting include chipped and cracked tooth enamel, as well as wear and tear caused by constant stress when the top and bottom teeth make hard, sudden contact. This habit can cause uneven front teeth that may result in jaw pain and discomfort. There are many other things that your dentist can detect from the condition of your mouth, including signs of diabetes, oral cancer, sinus infection, halitosis, or even that you had a thumb-sucking habit or you rarely floss. Visiting your dentist twice a year can help ensure that your mouth and body stay healthy by taking timely remedial action when need be. This entry was posted in Delano Dentist and tagged delano dentist, dental articles, dental blog 2016, dental care. Bookmark the permalink.